Interesting how the term “white nationalism” has somehow begun to supplant the more honest phrase “white supremacy,” both here and in the United States. Everyone seems to be using it now. It will be an election campaign topic in our general election this fall, and the American one late next year. And let’s be clear, it’s a euphemism. The word nationalism, to most people, has a virtuous whiff; historically, it’s been conflated with terms like patriotism and loyalty and solidarity with one’s civic tribe. When the word is modified with a racial adjective, though, any distinction dissolves. A white nationalist stands with white people, advocating for white prerogatives and the protection of white governance. A white nationalist would claim that flying the confederate flag on a state building is an expression of cultural history, rather than racial sentiment. A white nationalist would claim, as the television host Megyn Kelly once did on Fox News, that Jesus was white, and, by implication, God, too. (Jesus would have been a dark-skinned Sephardic Jew, not a blue-eyed, bland-faced fellow with wavy brown locks). And before someone raises it, because people do, there is no comparison between white nationalism and assertions of solidarity, or even superiority, by minorities. They haven’t been in charge for centuries on this continent. White nationalism is about keeping power white. Yes, yes, there are minority groups represented among Justin Trudeau’s ministers, but they were all given jobs by a white guy. White nationalism is in fact white supremacy. It’s understandable that white supremacists would want to be called nationalists, but that doesn’t make them any less supremacist. Which is why, presumably, conservative politicians here and in the U.S. are expressing such anger at having the label applied to them. They accuse their liberal opponents of planning attack ads and messaging portraying them as racists, or, at the very least, opportunists chasing racist votes. They’re right about that. Prime Minister Justin Trudeau and his ministers are making a concerted effort to bind Conservative leader Andrew Scheer to the so-called alt-right scene (another euphemism) in this country, and Democrats, newly in control of the House of Representatives, have convened hearings on the threat of white nationalism. The fact that Republicans obsequiously excuse President Donald Trump’s boorish rantings, of course, makes it easy for Democrats. He eagerly hits Twitter every time an act of extremism is committed by a Muslim or a brown-skinned immigrant, but takes comparatively incidental notice when hate crimes are carried out by white Christians or non-Muslims, something that’s been happening far more often in recent years. When the man arrested for the mosque murders in Christchurch left a manifesto praising Trump as a “symbol of renewed white identity and common purpose,” Trump, who has said he doesn’t believe his rhetoric inspires violent white extremists, further declared that white extremism isn’t really a threat, despite ample evidence to the contrary, including the assessment of his own justice department. Candace Owens, a conservative American activist cited by the New Zealand murderer as his greatest influence, told Congress recently that the whole “white nationalism” thing is nothing more than a Democrat re-election strategy. (She also once said Hitler wasn’t such a bad fellow, at least until he started trying to conquer the world). Rep. Steve King, who has rhetorically asked what’s wrong with being a white nationalist or white supremacist, remains a proud Republican. And even if extremists do applaud Trump, ask his supporters, what can he do about it? Never do they ask, or attempt to answer, the obvious question: Why is it that white supremacists, from the neo-Nazis who threw celebratory salutes the night of his election, to former KKK leader David Duke, to the Charlottesville torchbearers, to the New Zealand murderer, or Cesar Sayoc, the Florida bodybuilder who sent explosives to Trump’s critics in 2018, gravitate right, rather than left? Why is conservative politics such a natural home for white supremacists? Canadian conservatives might ask themselves the same question. Rather than whining about how unfair it is that Liberals are associating Andrew Scheer with Faith Goldy — an obvious white supremacist (a label she rejects) who proudly advocates for “European identity” and “white identity,” and who has contributed to a neo-Nazi podcast — they could instead reflect on why in heaven’s name he appeared on her online diatribe show two years ago. Or why Scheer chose to address the “United We Roll” yellow-vest gang in Ottawa this year, where, yes, Faith Goldy also spoke to the crowd. (And former Conservative MP Maxime Bernier). Or why he would hire as his campaign manager a former director of the far-right shock talk site Rebel Media, where Faith Goldy worked until she became too much even for them. Rep. Steve King, incidentally, endorsed Goldy’s recent bid for mayor of Toronto. Somehow, she still lost. Or why a conservative government in Quebec, a place where a giant illuminated cross overlooks the province’s biggest city (an expression of cultural history, of course), would be willing to suspend the constitution to pass a law clearly aimed at keeping religious Sikhs and Muslims out of the public service. The answer is that somehow, over the decades that have passed since the ’60s, and as North American cities have become much less white, it’s become more okay in some circles to be a white supremacist. Changing the label to white nationalist obscures nothing. Abraham Lincoln, according to legend, used to ask his cabinet members how many legs a dog has if you consider a tail to be a leg. His answer: four. Because calling a tail a leg doesn’t make it a leg. As the United States debates the right levels of immigration — and whether, as President Trump suggested, there is room for much more of it — new census data shows that international migration is keeping population growth above water in much of the country. Although international migration dropped in 2017 and 2018, it accounted for nearly half of overall American population growth in 2018 as birthrates declined and death rates rose. International migration helped rural counties record their second straight year of growth, according to local population estimates for 2018 that the Census Bureau released on Thursday. And immigrants bolstered urban counties that have been losing residents to more affordable areas. Even so, the three largest metro areas in America — New York, Los Angeles and Chicago — all shrank slightly. Without these international moves, 44 percent of the nation’s population would be in shrinking counties, instead of the current 27 percent. Dense urban counties and sparse rural areas, despite typically being on opposite sides of the political spectrum, share economic concerns related to population decline. In rural America in particular, shrinking populations can lead to a vicious cycle, causing local businesses to fail and young people to leave in search of opportunity, saddling those who remain with a smaller tax base for local services. Some tiny communities grew as much from international migration, in percentage terms, as large global magnets did. The metro areas where international migration contributed the most growth in 2018 include the big, diverse metros of Miami; Orlando, Fla.; and San Jose, Calif. But that growth was rivaled by college towns like Brookings (South Dakota State), Pullman (Washington State), Ames (Iowa State), and Champaign-Urbana (University of Illinois) — as well as by the meatpacking center of Huron, S.D., and the Transcendental Meditation center of Fairfield, Iowa. Although that’s an eclectic list of places, there’s a clear geographic pattern. International migration contributes to population growth more in larger metros than in smaller ones or in rural areas — and most of all in the dense urban counties of large metros. These urban counties lose population as a result of domestic migration because moves within the United States tend to be out of dense, urban counties and into suburbs or smaller metros. International migration — which includes immigration and other international moves regardless of citizenship or country of birth — is increasingly important for population growth in the highest-density counties of large metros. The growth in 2018 for these areas slowed to the lowest rate since 2006, just before the giant housing bust. These urban counties rebounded in the years that followed, reaching a peak in 2011 and 2012 that looked like a demographic reversal of the long-running suburbanization of America. But then urban county growth slowed, and in fact had not been as impressive as originally thought. The latest census data has revised earlier urban growth estimates downward. Americans are leaving urban counties over all as rising home prices and inadequate construction push people to more affordable suburban counties, midsize metros and smaller metros. In all, nine of the 51 metros of a million-plus lost people in 2018. An additional 10 large metros — including Miami, Boston and San Francisco — would have lost population if not for international migration. And, for the first time since 2007, the rate of population growth in large metros slipped below that of midsize metros. But it’s not just big cities. Counties outside metropolitan areas — mostly small towns and rural areas — draw and lose roughly even numbers from domestic migration. But because of their older local populations, deaths nearly equaled births in nonmetropolitan counties. Even though international migration contributed less to population growth in rural counties than in other places, international migration contributed more in rural counties than either domestic migration or natural increase did. The latest estimates offer a silver lining for lagging rural America, with 2018 showing population growth for the second year in a row, and at a faster rate than in 2017. This uptick in rural growth meant that the share of Americans living in shrinking counties — which rose sharply to 30 percent in 2017 from 14 percent in 2010 — fell back to 27 percent in 2018. The assist, again, came from international migration. As a term, “asylum shopping” is probably worthy of scare quotes. Though it’s not quite as loaded as “chain migration”— a term usually used to inspire fear of an unchecked immigrant invasion — it nonetheless invokes those darker stereotypes often ascribed to migrants. These people aren’t running from an immediate danger, you see. They’re seeking asylum in multiple countries, probing for the weakest point, if only to steal our jobs and harvest the bounty from our social safety net. “Asylum shopping” didn’t tumble from the lips of Bill Blair, the Minister of Border Security and Organized Crime Reduction Minister — at least, not entirely. Nonetheless, he was the picture of consternation at the allegedly pervasive practice. “We don’t want them shopping and making application in multiple countries. What we’re trying to do is to make sure the system is fair and efficient for those who truly need our protection,” Blair said this week. Cracking down on asylum shopping is a key part of the government’s $1.2 billion effort to reduce the number of would-be migrants coming into the country. The number of asylum seekers has nearly tripled since 2016, and addressing the issue, or at least further girding the system to deal with its reality, is a certainly a legitimate government goal. The problem is the rhetoric that Blair and others have attached to it. By first politicizing the idea of “asylum shopping,” then quickly promising to do something about it, the Trudeau government has shown how desperation tends to breed rank hypocrisy. The latter-day Liberals are proof of the axiom that in politics, you inevitably become what you once professed to hate. Imagine the conspicuous indignation that would have emanated from 2015-vintage Liberal Party ranks had the Conservative government cooked up, in the crucible of Stephen Harper’s all-powerful PMO, a plot to try and override the country’s independent judiciary by jettisoning a certain Quebec-based engineering firm from likely legal catastrophe. And yet in 2019, four years after winning an election by way of promises to do away with such Conservative overindulgences, the Liberals did just this — and through an all-powerful PMO of the type Trudeau himself vowed to dismantle, no less. Though more visceral a topic, the government’s “asylum shopping” gambit nonetheless comes at the tail end of a similarly tortured ideological climbdown. The 2015-era Liberals chided the Conservative’s apparently heartless response to the Syrian refugee crisis. “You don’t get to suddenly discover compassion in the middle of an election campaign,” Trudeau said of the Harper government’s reaction to the drowning death of Alan Kurdi, whose tiny body washed up on a Turkish beach. Trudeau, Trudeau assured us, would do better. And to his great credit, he made good by allowing some 25,000 Syrian refugees into the country. About two years later, he became a notably photogenic counterpoint to Trumpian nativism by welcoming “those fleeing persecution, terror and war” by way of Twitter, just as The Donald was wishing them gone. Conservative criticism on migration was nothing short of “fear mongering,” as Trudeau put it late last year. Ah, but that was before the churn of the next election cycle and the Liberal government’s increasing desperation in the wake of the SNC-Lavalin fallout, not to mention the corresponding bump in Conservative fortunes. The Trudeau government’s migration bon mots belie a certain truth: the steady tide of asylum seekers from the U.S. has eroded the Canadian welcome mat, according to a comprehensive Angus Reid poll conducted earlier this year. For any government, delegitimizing the plight of migrants is crass, bottom-feeder politicking. For the Liberals, whose rise to power was meant to be a rebuke to this kind of thing, it is even worse — particularly considering how asylum shopping isn’t a particularly widespread problem, as the CBC’s Kathleen Harris pointed out this week. It’s just further evidence that the convictions of the current government ebb and flow with its re-election prospects. Immigrant families who have been in Canada for more than two decades tend to be worth more than families who were born in the country, new data from Statistics Canada released Tuesday shows. The data agency released an analysis of numbers from 1999 to the 2016 census, comparing immigrant families with those born in Canada and looking at various aspects of their financial lives. The findings show that both groups have, on the whole, seen a big increase in their wealth over the past two decades. The average wealth of established immigrant families — those whose major income earner was aged 45 to 64 and landed in Canada at least 20 years earlier — grew from $625,000 in 1999 to $1.06 million in 2016, an increase of $435,000, or more than 69 per cent. Comparable families where the major income earner was born in Canada are worth less, on average, but saw a bigger gain, from $519,000 to $979,000. That’s an increase of $460,000 or more than 88 per cent. One reason for the discrepancy may be that immigrant families are much more likely to put their money into real estate. “Compared with Canadian-born families, immigrant families generally hold a greater share of their wealth in housing but a smaller share in [registered pension plan] assets,” the data agency said. On average, 69 per cent of the wealth increase for immigrant families can be traced to gains in the amount of equity that they have in their homes. That compares to 39 per cent for native-born Canadians. On the flip side, one third of the wealth gain for Canadian-born families is because of increases in the value of pension plan assets. For immigrant families, that share is just 17 per cent. Political sociologist Howard Ramos at Dalhousie University in Halifax says it is not surprising to see immigrants being relatively more eager to climb the housing ladder instead of putting their money into other things. “The evidence shows that this as a strategy has paid off in the past and is still paying off for newcomers today,” he said. Immigrants’ preference for housing as an investment may also be a factor in their willingness to borrow, too. Established immigrant families had a debt to income ratio of 2.17 in 2016, compared with 1.32 for Canadian-born families. “Most of the difference was due to the larger mortgages carried by immigrant families,” Statistics Canada said. While their wealth levels may be different, the study shows that there’s little evidence that the two groups manage their finances any differently. “Specifically, the study finds no evidence that immigrant families use payday loans, withdraw money from registered retirement savings plans or pay off only part of their monthly credit card balances to a greater extent than Canadian-born families of similar age do,” the data agency said. Ramos says the numbers are some hard data to show that on the whole, immigrants largely become “model economic citizens” who are on the whole doing exactly what was hoped for them. Jelena Zikic, an associate professor at York University’s school of human resource management who studies skilled immigrants, says “they have a mindset of being safe and secure,” so seeking to climb the property ladder makes a certain amount of sense. While it may be encouraging to see immigrants becoming wealthier the longer they are in Canada, she says that shouldn’t suggest that they have it easy — quite the opposite, in fact. She says stories of very qualified skilled immigrants coming to Canada and then having to take low-paying jobs because their credentials aren’t recognized are rampant, something that is bad for them and bad for Canadian society. She adds that those who do succeed often do so because of their own resilience. “They had very strong motivations to come to Canada, so when they are here they do everything they can [to move up],” she says. Other than climate change, which is an existential threat to all of humankind, arguably the biggest threat to Western democracies is racism. Politically, liberal democracy is built on the idea of fundamental human equality and the further it strays from that precept the less it is recognizably democratic. Sociologically, societies that are racially complex but racially divided by law or harsh custom are unhappy places where violence lurks and often explodes. In the United States, the president is the most openly racist in at least a century. He came to political prominence as an Obama birther, launched his campaign smearing Mexicans as rapists, has separated brown mothers from their brown children as a matter of policy and is seemingly intent on winning another minority victory in 2020 by stoking the flames of racial fear among white Americans. In the United Kingdom, a Brexit referendum victory driven in part by fears of outsiders is now also threatening the historic bonds that fasten England to both Scotland and Northern Ireland. Here in Canada, you do not even have to go to the issue of racist intent to see that Quebec’s Bill 21 — which would ban the wearing of religious symbols such as the turban, the hijab and the kippah for many public servants — would be racist in its effect, hitting mainly people of colour and Jews. And in the last few days, the pollster Frank Graves has released data suggesting that opposition to the immigration of visible minorities is rising in Canada. At one level, this might not seem very different from the other controversial issues journalists cover as a matter of routine: economic inequality, tax levels, education spending and so on. However, I think it presents unusual challenges that the media may not be entirely prepared to cope with. It is the conceit of modern mainstream journalism that it stands outside of ideology. It is neutral, balanced, objective. If someone wants higher taxes to fund social programs and someone else wants lower taxes to stimulate the economy, reporters quote both sides of a debate, excavate some relevant data, and leave it to the readers to decide the argument. This is a powerful idea and has some merit. Many of us consume the news to inform us as citizens and not to be told what to think or do. On the other hand, it can lead to the laziest conjuring trick in the journalist’s kit: what is sometimes called false balance. For a couple of decades, this was most obviously a problem with the coverage of climate change. Even as the evidence of human-caused climate change grew and the scientific consensus became close to complete, many journalists ran back and forth, got quotes from credible scientists, balanced them with a quotes from increasingly isolated and eccentric, often industry-backed “climate skeptics,” threw in a little data and let the readers decide. And in this way they failed the journalist’s responsibility not just to be fair, but to be rooted in evidence (as indeed scientists should be). Only very recently has this trend been significantly corrected. In the case of racism the challenge is further complicated by the way in which it is being metabolized politically. Frank Graves’ most interesting finding was not that opposition to non-white immigration has recently risen. In fact, as he points out, it has sometimes been this high in his data in the past. What’s most striking is the degree to which it has become a partisan issue. Just six years ago, roughly half of Conservative supporters said too many immigrants were visible minorities; today the figure is over two-thirds. Meanwhile, among Liberal supporters, the trend has been the opposite. Six years ago about a third of Liberals were concerned about visible-minority immigration. That figure has now fallen to less than one-in-seven. The supporters of our two main parties are polarizing around the issue of race and we are in an election year. I don’t think even his harshest critics would claim Andrew Scheer is a Trump-style racist. In the immediate aftermath of the New Zealand massacres a few weeks ago, his first reaction (or that of his staff) was to tweet out condolences, somehow neglecting to mention that the murders took place in a mosque and the victims were Muslims. After some hours of barracking for those omissions on social media, including from some prominent conservatives, he did a very un-Trump-like thing and issued a new statement that got it right. Scheer does not appear to be personally racist, but he needs the votes of people who are. He is not a white nationalist, but he shared the “yellow vest” platform on Parliament Hill with Faith Goldy, who was let go by The Rebel for her sympathetic coverage of the anti-Semitic and anti-black Charlottesville demonstrations, has given an interview to the neo-Nazi Daily Stormer, and who was recently bounced from Facebook — not an easy thing to accomplish — for her views. Let’s just say she is not the sort of person in whose company Preston Manning would have wanted to be seen when he was a party leader. Naturally, the Trudeau Liberals, mired in political troubles of their own making, and with a political base that may be getting more liberal on race according to Graves’ numbers, is using this as a cudgel. Trudeau has taunted Scheer to denounce white supremacists. Scheer’s reaction has been rather delicate, denouncing the sin of white supremacy but appearing reticent to name the specific sinners. 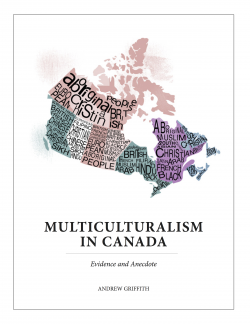 We need much more journalistic work to understand the roots of more overt racial hostility in Canada, and their connection to economic conditions, patterns of immigration and embedded cultural impulses that may have been dormant or suppressed. We need to understand the role of the internet and social media culture. We need to distinguish between overt racists, unconscious racists, and those who are not actively racist themselves but who are willing to tolerate those who are. More than anything, we need to understand the experiences and perspectives of those who are the targets of racism. We need to understand better how our political system has allowed people like Goldy to walk onto a political (and media) stage where not long ago they would have been unwelcome. We need to be careful about unthinkingly labelling Scheer a racist, but also to understand the political dynamics that are shaping his party, its policies and its rhetoric. We also need to pry apart the Trudeau government’s rhetoric and its policies (most notably on refugees). We need to understand better why the Liberal party’s supporters have grown so quickly so much more liberal on race, and to what extent this is real and to what extent just an artifact of partisan polarization. And finally, those of us in journalism need to examine our own role. Journalism should not be indifferent to the health of our democracy; when journalism is done well it is a pillar of democracy as well as dependent on its liberties to thrive. We are still far from the point where we have an open racist sitting and chiming in on the “At Issue” panel with Rosie, Andrew and Chantal. But Ann Coulter, the American commentator who sees non-white immigration as a form of genocide, has often been interviewed on Canadian television. Gavin McInnes, founder of the sometimes-violent “Proud Boys,” has appeared on the CBC News Network to defend a bounty on the scalps of Mi’kmaq people in the 18th century as reasonable public policy for the time. Racism raises complex journalistic issues that are not as simply solved as banning people from the airwaves. It may be that in the world of the internet and social media, journalists no longer have the ability they once did to police who inhabits the public square. They need to report on racism without fuelling it or giving it a platform. But with racism, as with climate change, journalists should not be confused about which side they are on. It’s touted as the largest celebration of its kind outside India, drawing almost 500,000 people to mark the Sikh religion’s new year. For politicians eager to tap into an electorally powerful ethnic group, the huge version of Khalsa Day in Surrey, B.C., is a veritable gold mine. But barring a significant change of tune by the federal government over the next week, this year’s edition will impose an unprecedented policy. Unless certain demands are met, Liberal MPs will be barred from speaking from its stages on April 20, says organizer Moninder Singh. The threatened ban was over an issue causing growing consternation in the Sikh community: an annual Public Safety Canada report on terrorism that for the first time this December contained a small section on the alleged threat of Sikh extremism. Community activists insist that violent support for the independence of Sikh-dominated Punjab state from India ended in the years after the 1985 Air India bombing, Canada’s worst-ever terror act — and call the report a smear job. Critics see the hidden hand of India, allegedly manipulating Canada to malign a diaspora fixated on Punjab separation. The government says that’s hogwash, while others warn against politicians meddling in a report penned by independent security agencies. Public Safety Minister Ralph Goodale has apologized for language that he says inadvertently disparaged Sikhs. Regardless, community activists say the issue could have major implications for Canadian politics, setting off a potentially seismic shift in a minority group with wildly disproportionate political muscle. At stake are nine Sikh-dominated ridings – in the Toronto-area suburbs, Calgary and lower-mainland B.C. — all of which went Liberal in the 2015 election, many flipping from the Conservatives. Another eight, mostly Liberal seats across the country could be decided by the Sikh vote if the races are “competitive,” says Jaskaran Singh Sandhu, executive director of the World Sikh Organization (WSO), while 18 more are susceptible to Sikh influence if particularly close. There are already signs of trouble for the party: a slate of candidates tied to the fathers of two Liberal MPs was roundly defeated in a recent election for the board of North America’s largest Sikh temple. The winners contend Ottawa’s terror report was a factor; the losers say it was just about religion. About 400 people crowded into a round-table meeting on the issue in Brampton, Ont., Sunday, grilling the lone Liberal MP — Ruby Sahota — who attended. And more Khalsa Day parades and gurdwaras — Sikh temples — are considering bans of their own on Liberal politicians speaking if the report is not changed, said B.C.’s Singh. Other Sikhs, though, question whether there is a movement afoot, or just some very vocal leaders concerned about a niche matter. “My sense is that it is a dead issue,“ says Ujjal Dosanjh, a former Liberal cabinet minister who has long crossed swords with the Punjabi separatist — or Khalistani — movement. Shinder Purewal, both a political scientist at B.C.’s Kwantlen Polytechnic University and now a Conservative federal candidate, believes the south Asian community generally is souring on the Liberals, and shares others’ misgivings about the terror report. But he doesn’t expect it to play a big role in the Oct. 21 election. No one can question, though, that the Sikh community has some considerable political weight to throw around. Recent elections have produced 18 Sikh MPs, including four cabinet ministers and a party leader. All from a minority community of 500,000 — barely one per cent of Canada’s population. Canadians of Hindu Indian descent actually outnumber them, but Hindus and other south-Asian subgroups have not had the same influence politically. That out-sized activism and clout stems partly from Sikh Canadians’ concentration in a relatively few ridings. But there may be another, more philosophical explanation, too. The religion melds the spiritual and secular in a way that encourages political service as an extension of the community-giving expected of followers, argues Sandhu. Purewal says such an intersection of godly and earthly is common in many religions, and suggests that Sikh history — including a need to repulse a succession of invaders who targeted the Punjab — may be a better explanation for high levels of political engagement. Whatever their reasons for getting involved, Sikhs have traditionally voted Liberal, the party they see as generally more friendly to immigrants and immigration, said Singh, though he adds they are becoming more discriminating. Purewal says the wave of Sikh support for Liberals in 2015 was largely a reaction to the Conservatives’ legislation stripping citizenship from dual citizens convicted of terrorism. Regardless, the terror report in December was, for some Sikh leaders at least, a rude awakening after a spate of political victories. The complaints centre around the document’s reference to “Sikh (Khalistani) extremism” — seen as defaming an entire, peaceful community rather than singling out a specific entity — and the lack of any evidence to support the claim of present danger. The report mentions the Air India bombing 33 years ago and two terror groups critics say have long been inactive. Singh believes the passage stems from a counter-terrorism co-operation agreementsigned between Canadian and Indian national-security czars last year, as well as the government’s desire to improve fractured relations with New Delhi. NDP leader Jagmeet Singh suggested the report is having a “massive” effect on Sikh politics, and warned it could spark hate crimes. Conservative Garnett Genuis, though an MP from Alberta, also attended the Brampton meeting and earned generous applause when he defended the right to peacefully advocate for Punjab independence. Sahota voiced her own concerns about the report’s language, and the lack of clarity on why Khalistanis were suddenly included after years of silence. But in a spirited defence of her government, she stressed the document was the product of independent security services, not the party. Goodale has said future iterations would not reference Sikh extremism but only “extremists who support violent means to establish an independent state within India.” He has not, though, disavowed the issue’s inclusion in the report. Meanwhile, Dosanjh says he’s appalled by the Liberal MPs of Sikh background who publicly talk down the report’s Khalistani section. Organizers of the Surrey Khalsa view things rather differently. They say the government must commit to re-issuing December’s report without the mention of Sikhs as a menace — or forget about politicking at the April 20 parade. This being 2019, opponents of the report have made their demand clear, in a Twitter slogan: #ProveitorRemoveit . Canada needs immigrants. Canada needs secure borders. These may sound like contradictory claims; they are not. They go hand-in-hand. Over the past couple of weeks, the Trudeau Liberals have abruptly woken up to this reality. They’ve started talks with the United States to close a loophole in the Safe Third Country Agreement that allows people who enter Canada at irregular border crossings to make a refugee claim, rather than being turned away. They also introduced legislation – buried in an omnibus budget bill – to make anyone who has filed an asylum claim in the United States and several other countries ineligible to do so in Canada. The target is the influx of migrants at Roxham Road. Over the past two years, about 40,000 people have walked across the Canada-U.S. border, most on a street that dead-ends where New York stops and Quebec starts. These people are not illegal immigrants; the vast majority willingly surrender to authorities so that they can make an asylum claim, giving them legal status in Canada, including the right to work for as long as it takes an extremely slow and backlogged refugee system to decide on the merits of their claim. Our refugee system is generous, but it’s also very slow-moving. And it’s breaking down and losing public confidence under the strain of too many people trying to use it. Many appear to be travelling to the United States on tourist visas for the purpose of making a refugee claim in Canada. The Liberals’ latest steps to address this risk is damaging Prime Minister Justin Trudeau’s brand. His government is now doing something that it spent the past three years attacking the Conservatives for even talking about. But though it’s out of sync with the Trudeau government’s previous rhetoric, it’s in line with how Canadian governments of all stripes have dealt with immigration over the past few decades. Under a series of administrations, Liberal, Progressive Conservative and Conservative, the vast majority of immigrants – whether economic migrants, family-reunification arrivals or refugees – have always been chosen from overseas and only entered Canada after having been vetted. It has been immigration by choice – Canada’s choice. That’s true, for example, of the influx of Syrian refugees into Canada early in the Trudeau government’s mandate. They chose Canada, but first Canada chose them. Next to its open immigration door, Canada has long had bureaucratic walls and moats. Canadian governments have consistently taken steps, most of which go largely unnoticed by Canadians, to make it extremely difficult for anyone to come to Canada if there is a risk that person may attempt to remain in the country, whether as an illegal immigrant or as an asylum-seeker. That’s mostly been about making it very difficult to get to Canadian soil and gain access to the Canadian legal system. To take just one example, a 2017 World Economic Forum survey of travel and tourism professionals ranked Canada as one of the worst countries in the world – 120th out of 136 – for the restrictiveness of visitor visa requirements. But that’s not a bug of Canada’s visa system. It’s a feature. Compared with our southern neighbour, Canada is a high-immigration country. That’s long been true. Relative to population, Canada takes in roughly three times as many legal immigrants as the United States. And while the number of foreign-born American residents recently hit a high of 13.5 per cent, at no time since the 1901 has Canada’s level of foreign-born residents been that low. Today, 21.9 per cent of Canadians were born overseas. Compared with our southern neighbour, Canada has also always had low levels of irregular, unauthorized, unexpected and illegal immigration. Washington doesn’t even know how many illegal immigrants the country has; estimates range from 10.7-million to 22-million to nearly 30-million. That has poisoned the American immigration debate, and made rational immigration discussions almost impossible. For a growing number of voters and politicians on the American right, all immigration, legal or illegal, is seen as a threat. For a large number of their opponents on the left, any distinction between legal and illegal immigrants is similarly rejected. Talk of higher legal immigration is unacceptable on the American right; talk of lower illegal immigration is unacceptable on the left. For Canadians, it should be a cautionary tale. Le mémoire d’un groupe d’extrême droite qui félicite le gouvernement Legault pour sa réforme de l’immigration a été retiré du site de l’Assemblée nationale après y avoir passé 24 heures, jeudi. Son contenu a finalement été jugé «non parlementaire» par les élus. La présidente de la commission des relations avec les citoyens, MarieChantal Chassé, a fait une «mise au point» avant le début des travaux jeudi après-midi. «L’acte de procédure qui consiste à déposer ces documents ne signifie en rien que la présidence et les membres de la commission endossent le contenu de ceux-ci», a-t-elle assuré. La Fédération des Québécois de souche prône la fin de l’«immigration allogène», l’«assimilation complète» des nouveaux arrivants et la protection de «l’identité ethnique de la nation québécoise». Ce groupe a été fondé par Maxime Fiset, un ex-skinhead raciste aujourd’hui repenti. Elle est identifiée comme un «groupe de haine» par le Canadian Anti-Hate Network. Cet organisme a appelé Facebook à fermer sa page après que le réseau eut banni six autres groupes et individus jugés dangereux plus tôt cette semaine. Dans son mémoire, le groupe précise qu’il ne recommande pas à ses partisans d’infliger des «sévices» ou des «vexations» aux immigrants. Il encourage Québec à modifier davantage le système d’immigration afin de prioriser des personnes provenant de l’Europe francophone ou, dans une moindre mesure, du reste de l’Europe. Les élus de l’opposition n’ont pas blâmé Mme Chassé, bien qu’elle ait été critiquée sur les réseaux sociaux pour avoir déposé le mémoire du groupe. Le député de Québec solidaire, Gabriel Nadeau-Dubois, a cependant convenu qu’une réflexion s’impose pour éviter que l’Assemblée nationale devienne une tribune pour des groupes extrémistes. Ontario will create a new immigration stream for tech workers and a new immigration pilot initiative with the goal of attracting highly skilled immigrants to smaller communities around the province, the province’s government announced April 11 in its 2019 budget. The initiatives are among four immigration-focused priorities outlined in the province’s new $163.4 billion budget, which was unveiled Thursday afternoon in Toronto. “The Province is responding to the needs of Ontario’s employers by attracting the skilled workers they need through enhancements to the Ontario Immigrant Nominee Program (OINP),” the budget says. To this end, the budget says the government will create a “dedicated stream to help Ontario’s technology sector attract highly skilled employees,” though no details were provided beyond this. CIC News has asked the OINP for more information on this and the other immigration plans outlined in the budget and will provide updates when they become available. The new dedicated tech immigration stream would feed Ontario’s booming tech sector in cities such as Toronto, Ottawa and Waterloo, which have all seen significant high-tech job growth in recent years. The OINP has targeted foreign tech workers in the past through its Human Capital Priorities Stream. The stream is linked to the federal Express Entry system, which manages the pool of candidates for three of Canada’s main economic immigration categories — the Federal Skilled Worker Class, Federal Skilled Trades Class and Canadian Experience Class. The budget says the government will also begin a pilot initiative “to explore innovative approaches to bring highly skilled immigrants” to smaller communities around the province. The proposed pilot follows calls from community leaders in Northern Ontario for a program similar to the Atlantic Immigration Pilot (AIP), a joint federal-provincial initiative that allows designated employers in Canada’s four Atlantic provinces to recruit skilled foreign workers for jobs they haven’t been able to fill locally. Canada recently unveiled a Northern and Rural Immigration Pilot similar to the AIP that will help small or isolated communities in provinces and territories outside Atlantic Canada to recruit foreign workers. Ontario’s new budget also says the government will seek to include truck drivers and personal support workers under the occupations that are eligible for the OINP’s Employer Job Offer: In-Demand Skills Stream. Among other criteria, the stream allows the OINP to nominate foreign workers with a permanent and full-time job offer from an Ontario employer in one of its eligible occupations to apply to live and work permanently in Ontario. Eligible occupations under the stream are classified by Canada’s National Occupation Classification (NOC) as Skill Level C or D.
The fourth immigration-related innovation in Ontario’s 2019 budget is the government’s promise to “recalibrate” investment and net worth thresholds for the OINP’s Entrepreneur Stream. The government said doing so will “make Ontario more competitive with other provinces” and expand the province’s base of prospective candidates. $1,500,000 minimum net worth for entrepreneurs hoping to locate within the Greater Toronto Area (GTA). $800,000 minimum net worth for entrepreneurs hoping to locate their business outside the GTA. $800,000 minimum net worth for entrepreneurs in the ICT/Digital Communications sector regardless of where they want their business to be located. $1,000,000 minimum personal investment if the proposed business will be located within the GTA. $500,000 minimum personal investment if the proposed business will be located outside the GTA. $500,000 minimum personal investment if the proposed business will be in the ICT/Digital Communications sector regardless of location. The OINP receives an allocation each year from Canada’s federal government that allows it to nominate a set number of economic immigration candidates for permanent residence in the province. The OINP’s 2019 allocation is 6,900, which fell short of Ontario’s request for an allocation of 7,600 nominations. The allocation represents a small part of annual immigration to Ontario, which totalled 137,410 newcomers in 2018.